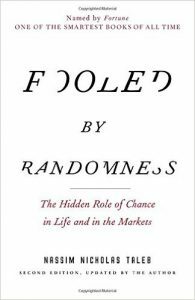 Fooled by Randomness is an excellent treaty on the often underestimated role that chance and randomness play in our lives (plus a few more juicy and insightful psychological biases). Chapter 1: If You’re So Rich, Why Aren’t You So Smart? Taleb first addresses some criticism. He says his skepticism is not nihilism: of course chance favors the prepared, the gritty and the perseverant. Skills count, he says, but they count much less in highly random environments (ie. : trading and investment). I found it particularly interesting that Nassim Taleb says he spent his life in a fierce fight between his brain -not fooled by randomness- and his emotions -completely fooled by randomness-. And the success he’s had is because of going around his emotions instead of rationalizing them. Part of I of Fooled by Randomness discusses the role that that luck plays in life. Nassim Taleb says that it’s silly to judge people’s skills and talent purely on the basis of their success or wealth. Because there’s a good chance it’s just chance -or risky behavior that’s not likely to last in the long term-. Taleb lays out the example of “master of the universe” successful traders who made millions only to later lose many more millions in the subsequent market crash. Those master of the universe traders didn’t make money because they were good, they were just piling up on risk and riding the wave. 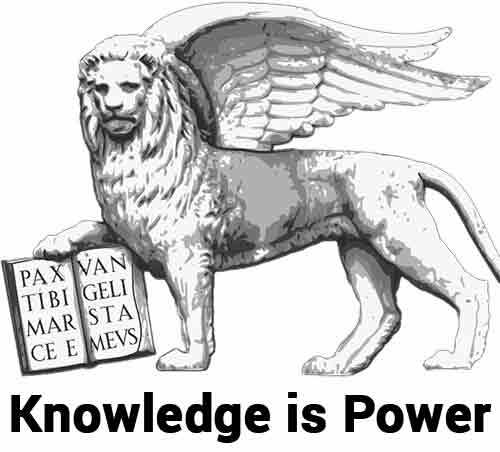 But lucky fools never realize they are lucky fools, and prefer fooling themselves into the idea they’re skilled. So when the wave turned, they drowned in it. Nassim Taleb uses Nero Tulip, a friend of his, an an example of a more rational investor (I looked him up BTW, some says it’s Taleb himself). Nero Tulip always invested safely and ended his career early and wealthy. Not super wealthy though, because super wealthy entails big risks and it’s a huge game of chance. Risk conscious hard work and discipline leads with high reliability to a comfortable life, he says. Beyond that, it’s high randomness. Basically: mild success is skills while wild success is variance and randomness. Nassim Taleb says that when assessing success or a successful individual one should also consider the possibilities of failure that he faced. He uses Russian Roulette as an extreme example. If you were to bet 10 millions on Russian Roulette, in 5 of the 6 alternatives outcomes, you’d be a millionaire. Now, the Russian Roulette is an extreme example, but in many endeavours people carry on without realizing that much of their success is highly dependant on chance. And the more they win, they more they feel safer because they attribute success to skills. Finance and trading, Nassim Taleb implies, is such a field with high randomness. Other more stable professions -dentistry, he mentions-, rely less on randomness and more on skills and hard work. Taleb says that if you ask people if they’d like to insure against death or against death by a terrorist attack before a flight, they’d be much more likely to take the latter. Which makes no sense, because “death” includes a terrorist attack. It turns out, what grab people’s attention is always something vivid. Taleb says that we don’t deal with risk detection and risk avoidance rationally because our our emotional part of the brain deals with risk. Our rational risk thinking then has little to do with actual risk avoidance. What it does instead is to rationalize our actions by assigning some logic to them after we’ve already taken a decision. Nassim Taleb introduce the Montecarlo Simulators, which are computer algorithms that produces a (high) number of results for a given choice. He says the results of a Montecarlo Simulator are a much better test against randomness than looking at the past. Simply looking at the past indeed present survivorship bias. Importantly, Nassim Taleb says here that you don’t look at mistakes after the fact. You only look at decisions in light of the information you had up until that point. That’s why I write you should base your self esteem not based on results but on processes. And that’s what Ray Dalio refers to when he says you should “look at the swing more than at the hit”. Taleb uses poetry as example to say we don’t need to apply scientific rigor in all things of life. We don’t really need to be realistic an rational when it comes to religion, feelings and arts, which is what many do. We need to be more rational when it comes to fields where rationality is more important though, which something that few really do systematically. On his first salvo against evolutionary psychology Taleb says that The Selfish Gene sounds mathematical with its many equations, but it’s actually just artistic prose :). Nassim Taleb says some believe that plant and animals reproduce on a highway to perfection. And the same thought has been applied to the economy as a whole, with the best companies surviving. He says instead that there’s a lot of randomness in evolution. And sometimes it goes off tangents on dead end branches. And some other times it can even regress. Negative mutations for example survive, not longer than for a few generations, in spite of being worse. Taleb says that on average animals will be fit, but not all of them, and not at every single time. Basically, he says, we don’t live in a world where things move continuously towards improvement. Taleb talks about median estimates and how they often lead us astray. For example, if a patient with a certain illness lives on average for 8 months tells us little. For example there might be a big divide between those that live past a certain month mark VS those who die very quickly. Asymmetry is countered with expected value. You should multiply the expected value of an event by its likelihood and then add up the total of the expected value results. Induction means that you can never be sure about your final results, no matter how many observations you make. For example, no matter if you see ten white swans or a thousand white swans, you cannot mathematically rule out the existence of a black swan. By seeing a single black instead, you can be certain black swans exist. Similarly, he says George Soros makes several induction mistakes in his book. Soros for example he infers that his trading system worked because his portfolio was up. But that his portfolio is up, says Taleb, is no proof of anything. Taleb introduces the survivorship bias, which he says is chronic in our society. The survivorship bias is the failure to account for those who didn’t survive (maybe while doing the exact same thing the successful ones did). Ironically, the most successful survivor is also the most visible one, skewing our survivorship bias even further. And that’s why, as mentioned earlier, it’s important to always adjust success and results to the odds of failure. Taleb makes big fun of The Millionaire Next Door, which peddles the idea one should save hard to become a millionaire. Taleb says he doesn’t see the point in getting rich if you will live like a monk (same concept the great book The Millionaire Fastlane promotes). And he lashes out on the even more foolish The Millionaire Mind which says “a taste for risk” is what makes millionaires. Taleb says that “a taste for risk taking” is necessary for large successes, but also a necessary trait for… Large failures. A bankruptcies analysis would have also find a predilection for risk taking, he says. Taleb explains the property of volatility and randomness. He says that successful performers will emerge even among a group of very poor performers -provided that there’s enough of them-. This is simply the effect of volatility and random distributions, but an external observer will easily misconstrue the results for skills. Consequently, Taleb says, success presents a higher correlation with the number of players than with their skills. He doesn’t say Warren Buffet is not skilled, but that a large population of investors will necessarily produce someone with Buffet’s results… Just by luck (!). Nassim Taleb introduces the regression to the mean phenomenon introducing the The hot hand fallacy. The hot hand fallacy is the belief that people who have been successful in the past are more likely to be successful in the future. It’s simply a question of large numbers, he says: with many players, it’s almost guaranteed that someone will embark on a long streak of good shots. But the tendency is to eventually regress to their long term mean. He says not all deviation are a question of chance, but a disproportionate amount are. 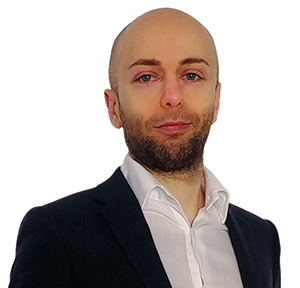 He says that a common misconception is that stock markets, over a long period of time, will always provide great returns. But if a rational investors had bought stocks in 1900 in Argentina, Russia, USA and UK, he would have lost it all in Russia. Nonlinear mean that a small change will cause a disproportionate effect on the results. The idiom “the straw that broke the camel’s back” is an example of a nonlinear result. Taleb mentions The Tipping Point which started a trend of people looking for virality and networking effects. He says viral effects are too difficult to predict to take those studies seriously. He says that it’s the beginning of a path that often makes a big difference. Our path is not independent from previous steps, and early success often begets future success (for a number of different reasons). So a random lucky chance in the beginning will sometimes take people on a very successful path. And external observers will misinterpret the path as wholly due to skills. Taleb says we are blind to probability. We tend to see facts and chances as either black or white, good or bad, happening or not happening. He mentions Thinking Fast and Slow and discusses a few more biases. I invite you to check Thinking Fast and Slow as that’s more in depth. Taleb says people tend to see causality where there’s only randomness. For example when a currency is down commentators give a reason on why that happened. But, he says, it’s very difficult to isolate single causes and that might not even make sense. Because it’s often just noise. Small moves are noise, larger one tend to be more significant, he says, in a non linear fashion. Taleb says many people often pick up habits and ticks based on what they did when they have previously been successful. He does it too, and so do many animals by the way. It’s not always easy overcoming our own ticks, so we should work around them. For example, avoid distraction and noise if you know you tend to overreact to them. Taleb says that science is great, but scientists are not. They tend to “marry their own positions”. He says most scientists cling their positions and make excuses instead of doing the courageous thing: looking for the truth and taking ownership. That’s why, he says, science often move forward funeral after funeral. Once the old guard dies, the new guys are more ready to accept and challenge old beliefs. Taleb says that the link between the skills of a CEO and the results of the company are very weak (similar concept from Sinek’s Leaders Eat Last). And he delves into satisfiers and optimizers. Optimizers spend their lives looking for what to improve and they change residence to save a couple of points of income tax. What’s the point, he quips, “I thought wealth was supposed to buy peace of mind”. I was surprised Taleb didn’t quote it, but this is very similar to satisfiers and maximizers in The Paradox of Choice, another great book. Don’t think people are necessarily amazing because of some success they obtained. They might have achieved success because of pure randomness. You should only judge your decisions based on the information you had when you took them, and not on the results. Similar to the above, don’t think that becuase you won -or lost- you did well -or badly-. Consider the odds with which you played. Just because you saw someone succeed a number of times it doesn’t mean it will always succeed. Similar to the above, don’t buy into the narrative that if you invest today you will certainly be rich tomorrow. I would personally recommend you invest on yourself more than on the markets. I wish Nassim Taleb had been more structured with his thoughts and core messages. He goes a bit off tangents sometimes making the book more like a personal diary than a well designed product to support his core messages. It’s a pity, because those core messages are really important and insightful. Fooled by Randomess can be a complex book to digest. It doesn’t necessarily needed to be so though: simplifying is a choice (and a skill). Taleb’s own dissertations and, ironically, his huge culture, get in the way of a simple message. Literary and historical references that people will most likely miss out are also likely to arise more confusions. This doesn’t have to be a negative though, I for one love those bigger picture (or fun) references and tangents. I love Taleb’s irreverent and biting style, not afraid of telling how it is even when he touches big names (Bill Gates, Soros and Warren Buffet just to name a few). It’s not just great prose though, Fooled by Randomness really explains and popularizes some key concepts to help you understand the world. I used to reflect about the underestimated role of randomness for example and I’m glad for Taleb’s work which I can now reference to. Finally, I really enjoyed Taleb also says randomness cannot affect your behavior. That’s you and under your full control (check my guide on social behavior if you’re interested in social skills).